Have you ever had an open trade that has been stopped out before price actually reached your stop loss level. Or maybe seen price reach your trade profit target level, but the trade never closed in profit? How about this one, you set up a pending buy order at a key price level, the market does reach your price level on the chart but the trade never gets triggered. You’re thinking to yourself, “What the hell is going on here?” You start blaming your broker or start cursing the market fueled with frustration and rage. You’ve become aware that this is a recurring problem and you really start coming up with conspiracy theories about your broker and the market, thinking they are out to get you and they are making it as hard as possible to profit in Forex trading. Well here is a big slap in the face, it’s not the market, it’s not the broker, it’s YOU! What you are failing to do is factor in the market spread into your trade levels. A professional trader must always account for the spread otherwise you will experience these inconsistencies with trades not triggering or stops being triggered before they were hit. In this article we are going discuss the difference between the BID and ASK price, cover what the market spread is and explain how you should factor in the spread to your trade levels to stop these mishaps. It is crucial as a professional trader that you understand the difference between the BID and ASK prices, failing to do so will mean you will no doubt make potentially costly mistakes when setting up your trades. When you look at your trade order screen you will see two price quotes, the BID and ASK prices. Every time you place a trade these two price quotes come into play. It’s important you are fully aware how they will affect your trade order when you execute it. The BID price is something that you will be very familiar with. The BID price is the price you see on the charts so if EURUSD was printing 1.3000 on your chart then the BID price is 1.3000. The BID price is the price is what you deal with every time you press that sell button; because it’s the price your broker is willing to buy the currency off you. You’re ‘selling’ the currency to your broker at the BID price. The ASK price is where things get a little more complicated, the ASK price is responsible for causing those unexpected ‘glitches’ in your trade orders. You don’t normally see the ASK price when you have your charts open, it’s only when you open your trade order window the ASK price pops up. 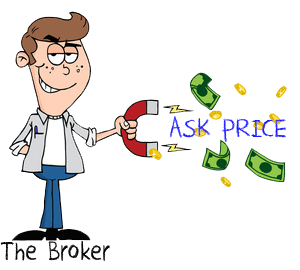 The ASK price is what your broker is willing to sell you the currency for, and it’s a completely different price than what you see on the charts. The ASK price is what you deal with every time the BUY button is pressed and it’s more expensive than the BID price you are looking at on the chart. So ASK price is the price your broker is ‘asking’ for to buy the currency of them. The BID price may 1.3000 on the charts but your brokers ASK price may be something like 1.3003. 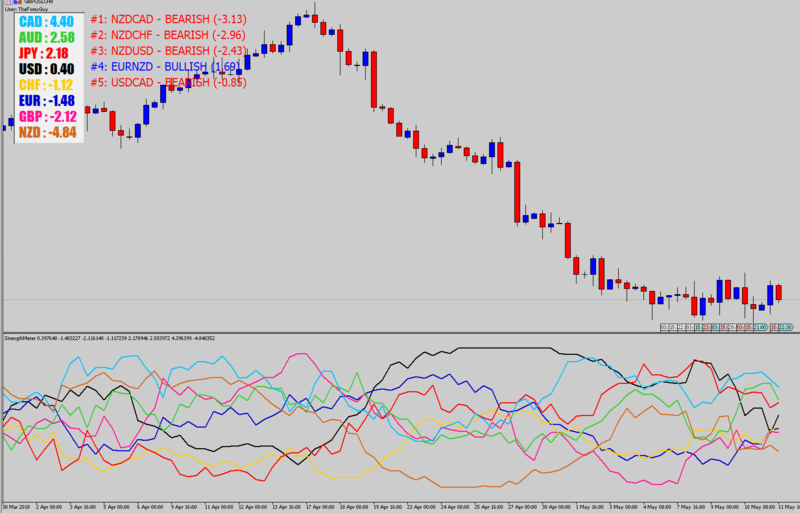 This is where calculated Forex spread comes into play. As a retail trader you need to have an account with a broker to be able to interact with the market, there is really no way around this, it’s just a fact of trading. Well if that’s what you thought then I am about to shatter the reputation you have with brokers. 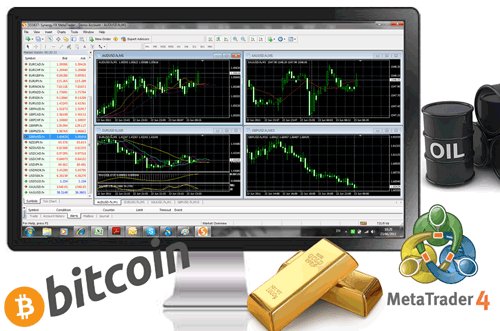 Forex brokers are businesses; they provide a service with the objective of turning over a profit. So where are these profits coming from? Brokers don’t ASK you for a monthly fee to have an account open, how do they make money? They make money through the market spread they’ve created. The spread is the difference between the BID and the ASK prices. It’s all in the ASK price for them, every time you make a transaction that deals with the ASK price the broker makes money. Brokers LOVE high frequency traders which place lots of trades every day, because each of these transactions generates the broker profit, regardless whether the trader loses or wins the trade. You can calculate the spread by subtracting the BID price from the ASK price. Spread = ASK – BID. 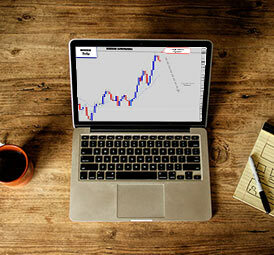 Forex has become exponentially popular in the last few years, with more and more Forex accounts being opened each day. This means more brokers, and that means more competitions between them. 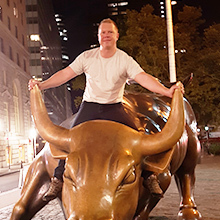 Brokers want you to have your trading account with them; they want to facilitate your trades and they will go to extreme lengths to get you as a customer. Because the broker market has become extremely competitive, they are fighting each other for our business as a trader. This is good for us traders because this keeps their spread prices down. No one wants to have an account with a broker who charges expensive ASK prices, so thanks to the high demand trading is relatively cheap. But we still need to know how to deal with the differences in BID and ASK prices when we place our trade order, even though most of the time the difference is only a few pips. When placing orders, you need to remember two key rules. It’s important that you memorize these two rules because you will need to apply them every time you enter and exit a trade. Read over them 3 times just to be sure or write them down on a sticky and place it on your trading monitor until you memorize them. When you go long, you enter the market at the ASK price and exit the market at BID price. When you go short, you enter the market at the BID price and exit at the ASK price. Say you wanted to set a pending order to go long when EUR/USD hits 1.3000 on the chart, you don’t simply place the pending order entry price at 1.3000. Remember the rule for long trades, you ‘enter the market at the ASK price’ because the ASK price what your broker is willing to sell you the currency for. Whenever you are the buyer – the ASK price is quoted. This means when the market reaches 1.3000 you have to anticipate where the ASK price will be at that point in time. If your broker’s spread is roughly 2 pips for EUR/USD, when the market reaches 1.3000 your broker is going to be ‘asking’ 1.3002. So when the price on the chart reaches 1.3000 (this is the BID price), your broker will be willing to sell the currency for (1.3002 when the spread is 2 pips). 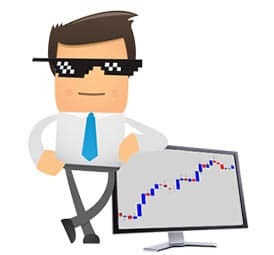 If you place your pending order with an entry price of 1.3000, your trade will not be triggered because your broker is not willing to sell you the currency for that price at that point in time. To be triggered in you would need to wait for the BID price to reach 1.2998, which at that point in time the broker’s ASK price will be 1.3000 and your trade will be filled. So in order to be triggered in when the BID price reaches 1.3000 you need to add the market spread to this price and set your entry order at 1.3002. Watch the small animation below for a visual example. When you calculate Forex spread and add it to your buy order with the intention of entering the market when the charts hit 1.3000, you’re entry price is placed at 1.3002. When the market reaches 1.3000 you will be triggered into the trade. Setting up stop loss and exit prices for long orders. We need to refer back to the early statement. 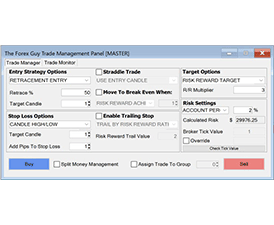 This makes setting stop losses and target levels really easy. You are exiting at the BID price, this is the price your broker is willing to buy the currency back of you and they are only willing to pay the prices they can normally get from the Interbank Market. When you exit the trade you sell the currency back to them. This uses the BID price. The BID price is what you see on the charts and there is no commission involved, so you simple set the stop and target levels directly off the BID prices you see on the charts. Easy! When dealing with short trade orders, things have to be worked the other way around. Short trades enter the market via the BID price, so whatever price is on the chart you want to short from you simply use that price in your short entry order. However, with the stop loss and target prices on short trade we need to calculate Forex spread and factor it in, because we are going to be exiting the trade via the ASK price. The ASK price is more expensive than the market BID price because of the brokers commission. Just like when dealing with the ASK price in your buy entry orders, you simply need to add the market spread onto your stop loss and target prices for your short orders. Take a look at this short animation below for a visual demonstration. 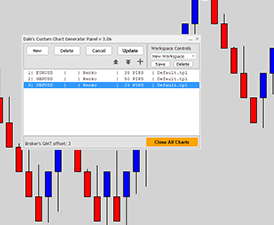 You can see from the animation above how the broker’s ASK price can stop you out of your trade before the chart price (BID) hits your stop loss. 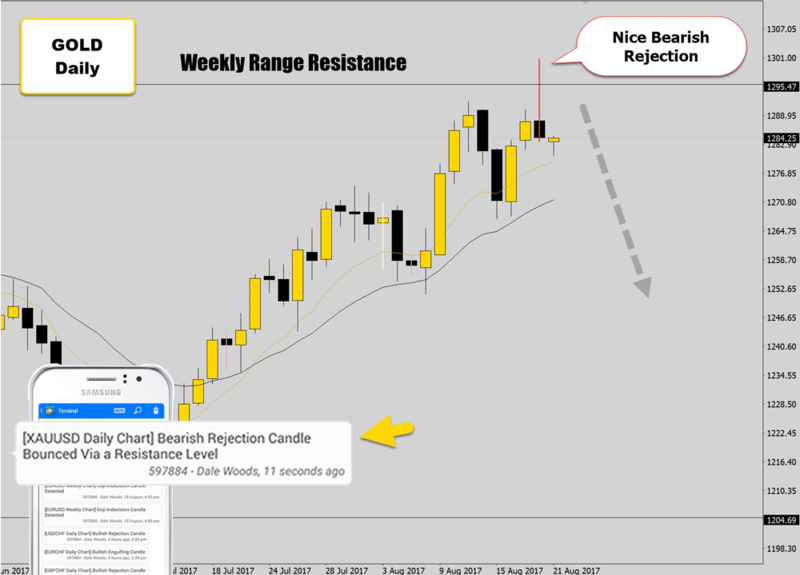 Technically your stop was hit, because you exit at the ASK price, it’s just that the ASK price is not normally shown on your typical candlestick chart. 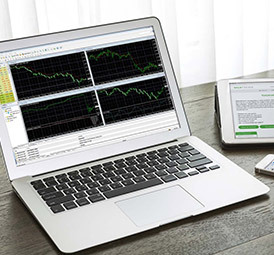 To avoid your trades from being stopped out earlier than expected, do the right thing, calculate Forex spread and add it onto your stop loss value. Doing so will allow your trade to freely move all the way to its stop loss level before the actual stop is triggered. In the animation above, we wanted to be stopped out if the BID price entered 1.3100, so we added the market spread and placed our stop loss order at 1.3102. We knew when the BID price was 1.3100 the ASK price would be 1.3102 and we were taken out of the trade at the correct level. Don’t forget you must calculate Forex spread and also apply it to your short order target levels. You are exiting at the ASK price. So find your desired target price on the charts, add the market spread to that price and use that in your target price level for every short trade order. 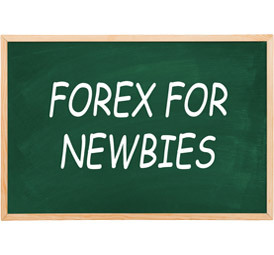 Now you know how to correctly place trade orders and enter a Forex trade the right way. 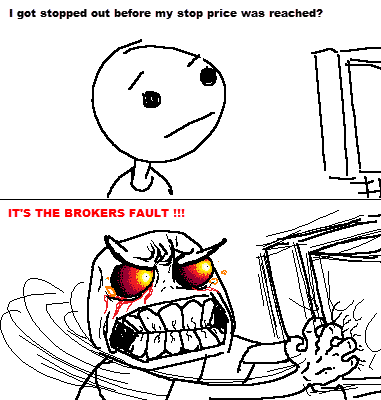 You won’t be exploding with rage because your pending get triggered, and your trades exit at the intended price levels. Each broker is also different with spread charges, it’s important you choose the right broker for your trading. 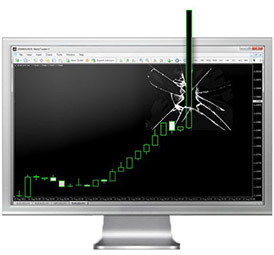 Our Price Action Protocol trading system uses logical stop loss levels. This means stop loss prices are set at a point where we know if the market crosses, the trade didn’t work out and we want to be automatically exited out of the trade. We don’t want to be taken out of trades too early due to lack of consideration for the market spread, so it’s very important that we always apply the rules that we’ve discussed in this article. Awesome article.. I've been trying to find this for the longest time. I have a question however, if i were to sell at bid price my target would be ask price, would that be open ask, high ask, low ask or close ask? 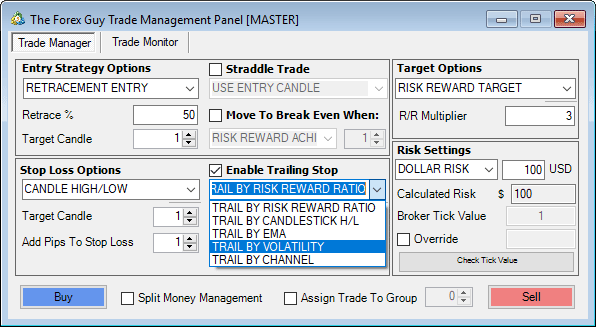 My broker allows me to put any of the 4 options on my chart, but I am not sure which to choose? Hi Diana, thanks very much.That's a good question and I've never come accross this before. I believe there is only one bid and ask price at any given time. Your broker might be defining the 4 data points of a candle in bid and ask prices. If that's the case you need to chose the 'close ask' price for your targets. 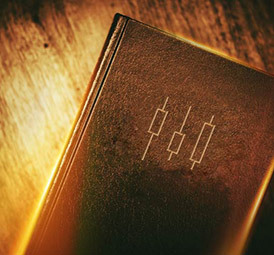 The close price of a candle is the current or closing price of a candlestick. It might be a good idea to contact your broker and double check though. Great article. I would also recommend that traders add the bid/ask lines to their charts. It is a fantastic way to see the cost of the spread on the intra day charts. How do I exit since price always rolls? When you go long, you enter the market at the ASK price and exit the market at BID price.When you go short, you enter the market at the BID price and exit at the ASK price. The bid and ask are just different quote prices from your broker. 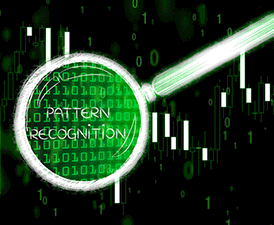 The bid is the market price, the ask price is a price that includes your broker's spread.The ask price is invisible, unless you tell your charting software to display it. All you need to do is add the spread to the bid price to get the ask price when considering trade entry,exit and stop levels. Nice Explained . . . Thank you. This was very helpful to me. So to work out the spread, say on the GBP/USD for example, if the ask price was 1.4913 and the bid price was 1.4910, the spread is the difference between the two. 1.4903 - 1.4910 = 0.003. Then 0.003 is the brokers spread. I assume this is correct? Also how do you work out the variable spread some brokers charge? And, are there any other fees or charges or commissions some brokers may charge? Thanks for your help and for the email updates. Very much appreciated. variable spreads are a dynamic system that change with every price tick. With variable spreads, the broker's system will re quote ask prices on each price change to reflect what is available to them on the inter bank market at that current price. The disadvantage is during high volatile events where liquidity dries up, like NFP or central bank policy updates - where the ask prices become very expensive. You enter with the bid price, which is what you see on the chart. But, you exit at the ask price - which is the broker's price that contains their commission markup. That's why when you open the trade it is in the negative strait away. All brokers should be required by law to have this video and article posted on their site. Kudos. Thanks very clear and easy to follow as always. Great article. I have been calculating for spread for a while since I've seen you talk about it on one of your videos. Its a same that MT4 doesn't show the ask price or positions the buy and sell off the ask, if that is what they really are going by. They really need to fix that 'glitch'. What is the formula for bid price and also in ask price? Bid price is what you see on the chart, ask price is whatever the broker sets, which is usually a few pips higher than the bid. Thank you! In over a year of intensive study of Forex, I have not seen this very important simple and basic principle spelled out nearly as clearly as this! Hi there. I'm little confused about one thing on Stop Lost (SL) price which broker will give us. Let say i'm trading in long position, broker will give me Ask price and give me Bid price when i'm going to take profit. (Correct me if i'm wrong) What if the price does not go up to Take Profit (TP) price, and then hit to the bottom to SL price. Which price broker will give me on SL price? is it Ask price or Bid Price? Long trades enter as ask price, exit at bid. So your stop loss will be hit when bid price triggers it. Short trades are opposite - enter at bid, exit at ask, therefor target and stop loss price get triggered when the ask price touches them. When you go long, you enter the market at the ASK price and exit the market at BID price..When i buy....I understand I do so at ASK....Let's say I exit a trade after 3hrs....the exit price which is the Bid, is it the one quoted when I entered the trade or after 3hrs when I want to exit the trade because they will be difference? Of course everything is quoted with the latest market prices. Quality content is the key to be a focus for the people to pay a visit the website, that's what this site is providing. please what about if I click on instant execution? It still works in the same way, just using the current bid and ask prices. Bid is the price on the chart right now, ask is the bid price plus the spread. Confirming a stupid question. I pay the spread price on entering a long trade. I pay the spread price on exiting a short trade.As the spread price widens or narrows in the case of some the trades . At this minute, I am trading the EURJPY long. On entry the spread was one pip. Four days later the spread is five pips.Now for the question, I am only charged for my long entry once and at the beginning of this trade? The article was extremely awesome and provide a required information in a simplified format. Genius article, well written and with great illustrations. Really appreciated! Great article just exactly what I have been looking for. 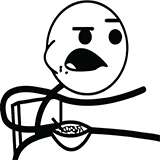 Please explain how would I factor in the spread on a buy and sell pending order sir. ThanksAnd also on MT4 you would see sprea as number of 28 to 100 sometimes are these points or pips?? What I was impressed. Congratulations Very explanatory. 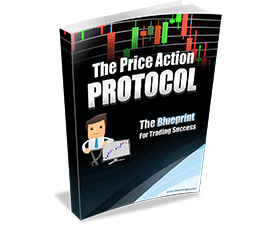 Long trade stop loss uses bid price, short trade stop loss uses the ask price. "Lets say you want to buy it at entry price of 1.2000, now which line (ask or bid) needs to reach 1.200" <- If you want to buy, the ask line needs to touch the order entry price. So you need to adjust for spread. Using a pending stop order you place the entry price at 1.2000 + spread, if it is a limit order, you place the entry price at 1.200 - spread. Watch the video and you will understand why. Great explanation . However there was no response to the Question posed by bruce on September 23, 2017 12:48 pmI am only charged for my long entry once and at the beginning of this trade? I will add another: only charged for my short entry once and at the end of this trade? The spread is factored in straight away, because with buy trades you enter at the ask, and sells you exit at the ask. So as soon as you open the trade, you have to pay the asking price of the broker one way or another, that's how they make their money. hi.. when I put stop loss for buy, no need to add spread. and stop loss for short need to add spread. Am I right? My broker is cmc markets, and I think their bid and ask is a bit different what this article describes. In cmc markes the chart price is between bid and ask price. So if spread is 8 pips, which means for example ask: 3.008 and bid: 3.000, then the chart price is 3.004. This means that if I go long and put a stop loss to 3.000, the position is closed before the chart price hits my stop. So I have to put stop to 2.996 if I wanna get out at 3.000.